Labours of Love will be featured at the Right Brain Project, located at 4001 N. Ravenswood, at the intersection of Irving Park and Ravenswood, on the northeast side of the Metra tracks. There is usually lot parking available for no charge. The Right Brain Project has long been a company defined by its willingness to try new things, to push its artistic boundaries, and to tackle projects it hasn't dared touch before. We've also been firm believers that art helps bring people together, and create a bigger, better, and closer local community, for both artists and appreciators of art. To help embrace this mindset, the RBP decided to host an art salon over the summer in favor of opening its doors to artists outside of the realm in theatre, in hopes we may all make new friends, have a few drinks, and talk about the thing that we each invest our hearts in: the creation of art. Conceived and executed by Sarah Thompson, RBP Secretary and Treasurer, Labours of Love welcomes a lengthy list of artists from multiple disciplines. Each night in the series presents a unique atmosphere created by a different pairing of artists. Come and enjoy works by local painters and sculptors, revel in musical performances, dig some live poetry, relish the refreshments, and meet the artists, all at the turn of your head. The evening will be coupled with an incidental performance of one of the great Bard's immortal tales (three guesses which one!) directed by Jared McDaris, with music or poetic interludes throughout the play. Summer nights are for light moods, fresh faces, and sweet surrounds; we'll have them all in spades, so come revel with us! Sarah Thompson*, Adam Betz*, Jason Powers, Danny Mulae, Erin O'Connor, Alyssa Thordarson, Mac Gerber, Caitlin Aase, Liz Goodson*, Alex Boroff, Chris Aruffo, Taehoon Kim, Kathy Blankely Roman, Daniel Story, John Penick, Teagan Walsh-Davis, Lewis Taylor, Marie Kavadias, Sadie Rogers, Karen Vierneisel, Gwyndolyn Siebert, The Elizabeth Dane, Patricia Larkin Green, Ann Ponce, Pirates, and more! 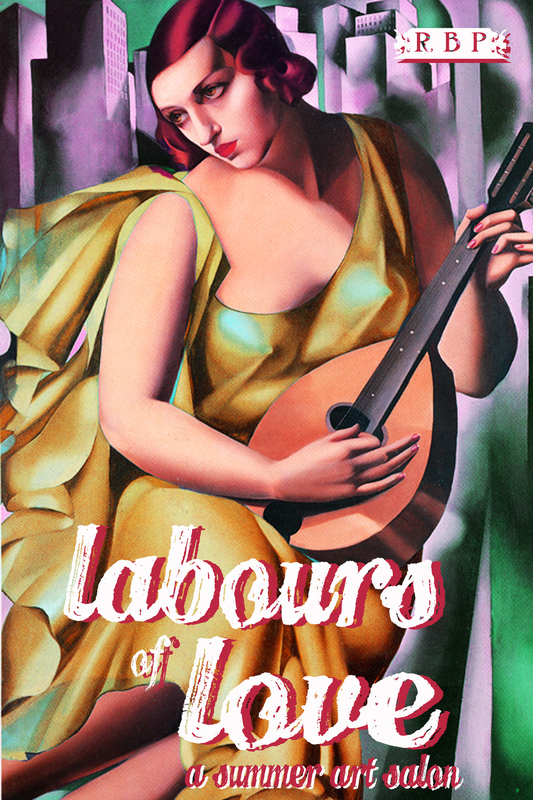 June 24: "Love's Labours Laughed"
June 25: "Love's Labours Laughed"
July 1: "Love's Labours Masked"
July 2: "Love's Labours Masked"
July 8: "Love's Labours Flown"
July 9: "Love's Labours Flown"
July 18: "Love's Labours Lost"
July 19: "Love's Labours Lost"